Blockchain technology can be regarded as one of the biggest game changers since the advent of the internet. To put things in perspective, blockchain is to transparency, and much more, the way internet is to communication. The tech’s implications have impacted various verticals, including entertainment, healthcare, information security, and not to mention, the financial space where it has redefined payment mechanisms by imparting more power to the people rather than centralized banking structures. Today, enterprises as well as government organizations are identifying areas where blockchain technologies can be rightfully and beneficially leveraged. And as with any new technological intervention—they face hurdles pertaining to inexperience, education, and scarcity of development resources. 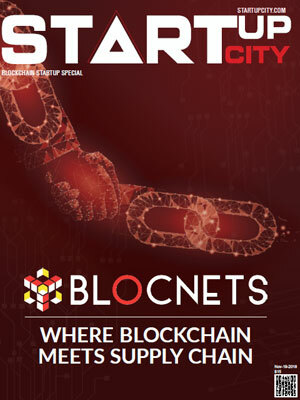 Helping enterprises map and execute suitable blockchain strategies, a number of startups have spurred up to help their clients navigate through the rather unmapped realms of the tech’s applications and use cases. Start-up tend to be affordable and all the more innovative; arguably, start-ups tend to know the real pulse of the industry than bigger, established entities. In the last few months, a distinguished panel comprising of CEOs, CIOs and analysts, along with our editorial board, reviewed and shortlisted the top companies that are at the forefront of delivering turnkey fraud detection solutions. 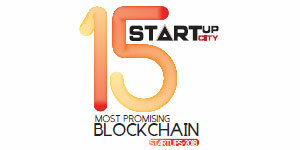 We present to you Startup City’s “Top 15 Most Promising Blockchain Startups - 2018,” featuring the companies that can deliver competitive advantage to the financial sector. Chainyard Chainyard™ is a leader in developing blockchain-based solutions for enterprises. Our team of more than 50 blockchain consultants and developers has delivered leading-edge solutions that address manufacturing, financial services, supply chain, and government services pain points. These solutions are critical to improving efficiency and creating competitive advantage for our clients.